Love Grows Here » Blog Archive » Finally caught on Camera! 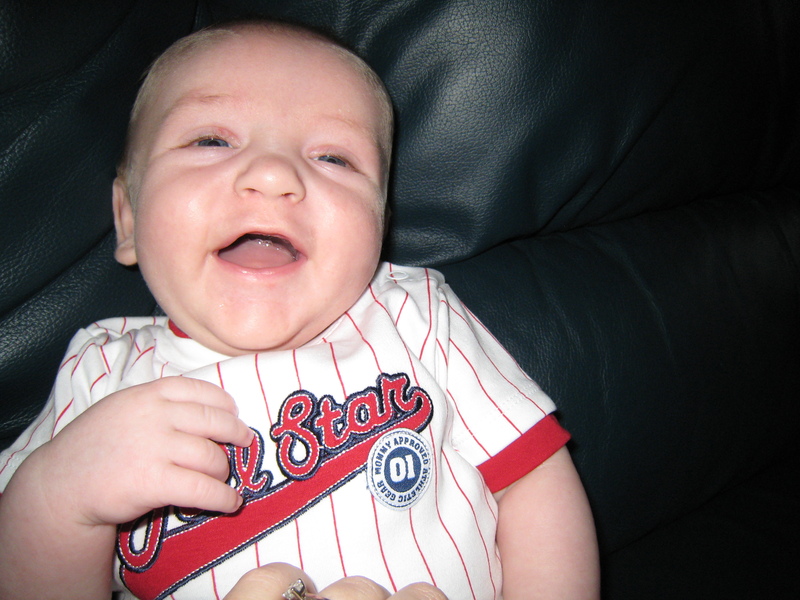 Finally I was able to get our little man to smile for me and catch it on camera…Doesn’t he have the cutest smile! This entry was posted on Thursday, March 13th, 2008 at 1:22 am and is filed under Uncategorized. You can follow any responses to this entry through the RSS 2.0 feed. You can leave a response, or trackback from your own site.